RICHLAND, Wash. — Commercial buildings could cut their heating and cooling electricity use by an average of 57 percent with advanced energy-efficiency controls, according to a year-long trial of the controls at malls, grocery stores and other buildings across the country. The study demonstrated higher energy savings than what was predicted in earlier computer simulations by the same researchers. "We've long known that heating and cooling are among the biggest energy consumers in buildings, largely because most buildings don't use sophisticated controls," said the study's lead researcher, engineer Srinivas Katipamula of the Department of Energy's Pacific Northwest National Laboratory. "But our tests of controls installed at real, working commercial buildings clearly demonstrate how much more energy efficient air-conditioning systems can be." This research was supported by DOE's Office of Energy Efficiency & Renewable Energy and the Bonneville Power Administration. 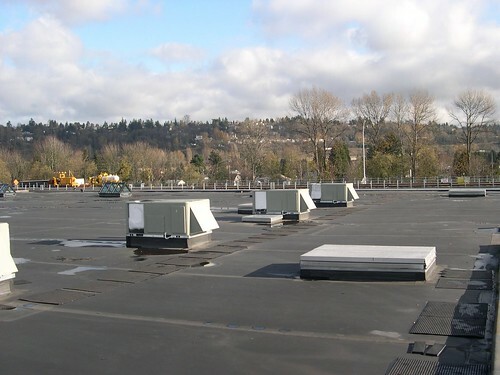 Sitting on the roofs of many commercial buildings are shiny metal boxes containing heating, cooling, ventilation and air conditioning (also known as HVAC) units. These are pre-made in a factory and have all their components inside a box, leading the industry to call them "packaged" HVAC units. Another kind of commercial HVAC, called air handling units, have long used sophisticated controls to ensure they work as efficiently as possible. But packaged units are often allowed to run for hours on end, even if they aren't needed, and receive little maintenance. Packaged HVAC units consume the same amount of electricity each year as 8 million U.S. residents, or about 2,600 trillion British thermal units of energy. All those ignored and often-inefficient HVAC systems add up, creating higher power bills and contributing to the nation's greenhouse gas emissions. But the exact payback period depends on several factors. To help building owners weigh the costs, the research team developed a table that lays out which specific combinations of an HVAC unit's size, the number of hours its fan runs daily and the local energy rate would result in a three-year or less payback period. The team concluded installing advanced controls in smaller units with a capacity of 15 tons or less could achieve a three-year payback in areas where energy costs 12 cents per kilowatt-hour or more, or where sufficient utility incentives were available. "I'm proud to see the advanced controls my colleagues and I evaluated not only work in the real world, but produce significant energy savings," Katipamula said. "We hope commercial building owners will be inspired by these tangible savings and install advanced controls in their rooftop HVAC units." Building owners interested in upgrading or replacing their HVAC systems can learn more from the Advanced Rooftop Campaign, which was formed by DOE's Better Building Alliance, ASHRAE (also known as the American Society of Heating, Refrigerating and Air Conditioning Engineers) and the Retail Industry Leaders Association. REFERENCES: S. Katipamula, W. Wang and M. Vowles, "Improving Operating Efficiency of Packaged Air Conditioners & Heat Pumps," ASHRAE Journal, March 2014. W. Wang, S. Katipamula, H. Ngo, R. Underhill, D. Taasevigen and R. Lutes, "Advanced Rooftop Control (ARC) Retrofit: Field-Test Results," report for DOE, July 2013.